The last adult in the Trump White House playground has gone – and the president is throwing his toys around. 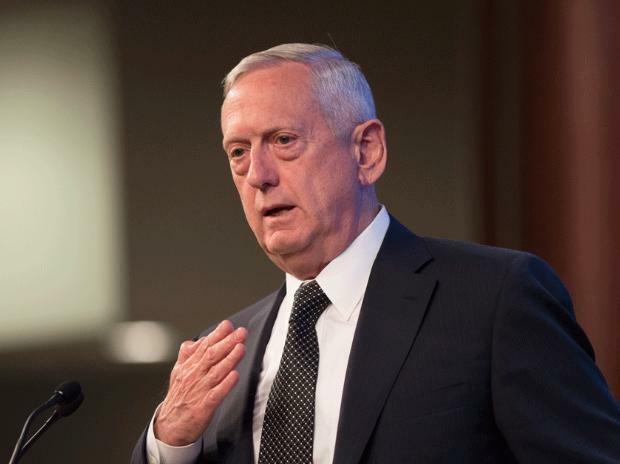 James Mattis, as defence secretary, was one of three retired generals in the Trump administration whose hope was to contain an ill-informed, temperamental, and unpredictable president. Now they’re all gone: national security adviser HR McMaster, pushed out early this year; White House chief of staff John Kelly, giving up at the end of December; and now Mattis, who resigned after losing hope that Trump can be restrained from impulsive actions, defying his advisers, threatening US allies and even embracing American foes. The catalyst for Mattis’s departure was Trump’s abrupt decision to withdraw all 2,000 US troops from Syria. But the list of his concerns about Trump is far longer. They include the president’s views on the American presence in Afghanistan and his hostility towards NATO allies, as well as Trump’s affinity for Vladimir Putin, even as Russia pursues an aggressive foreign policy and intervenes in US domestic affairs. With Trump willing to toss aside alliances and shred international arrangements, this could be the most serious challenge to US foreign policy and American partners since 1945. But what does it mean in specific areas? American policy has never been clear or decisive over Syria’s 93-month conflict. But Trump’s impulsive order for withdrawal threatens a new cycle of violence. Since the autumn of 2015, Washington has worked with Kurdish groups to push back the Islamic State in northern and eastern Syria. Those groups, through the Syrian Democratic Forces, have reduced Islamic State to a pocket of territory near the Iraqi border. But Trump’s tweet that the battle against the group is “won” is simply wrong. IS could be resurgent if the opportunity presents itself. Trump is also abandoning Syria’s Kurds to the predatory ambitions of others in the region. The Assad regime, propped up by Russia, has vowed to regain the one-third of the country controlled by Kurdish factions. Turkey has pledged offensives both west and east of the Euphrates River. Turkish president, Recep Tayyip Erdoğan, has said “terrorists” – Kurdish fighters – will be erased. US support for the Kurds was never a benevolent mission. Beyond the anti-IS campaign, the American presence was a buffer against the influence of Iran – a key ally of the Assad regime. Now that buffer disappears, and American policy against IS has been thrown into disarray. The Pentagon was already planning to pull out half the 14,000 US troops currently in Afghanistan, but Trump’s shift on Syria may have an even more unsettling effect. Even with the full complement of American forces and international partners, defeat of the Taliban has been a mirage. The insurgents have rebuilt their influence to control almost half the fragmented country. The focus has shifted from military victory to negotiation for political resolution. But Trump has complicated the tactics with his impulsive interventions – leading to his being called an “idiot” by both McMaster and Kelly, and a “moron” by the then-secretary of state Rex Tillerson. He has angered Pakistan, an essential part of the negotiating process, by slashing US military aid, and his declarations about a full withdrawal have emboldened the Taliban rather than brought them to the table. The loss of Mattis will likely deepen the split personality of the Trump administration towards Russia. Most of Trump’s advisers view Moscow with concern and favour a firm line that includes sanctions and opposition to Russian ventures in areas such as Ukraine and the Baltic States. But Trump’s admiration for Putin has led to his foot-dragging over Russia and even undermining of the American position. He has held out against enforcing sanctions until a combination of Congress and US agencies forced his compliance. With Putin standing next to him at a press conference in July, Trump failed to make a statement on Russia’s annexation of Crimea and sided with the Russian leader over the American officials who concluded that Moscow interfered in the 2016 election. The US deployment in Afghanistan is part of a NATO-led mission to train, advise and assist Afghan security forces. But Trump’s threat to NATO is far more than an Afghan draw down. The president has repeatedly bashed the alliance with his false insistence – the outcome of his lack of knowledge – that NATO “owes” money to the US. During his campaign, he labelled the organisation “obsolete” and at last July’s summit he was still threatening to withdraw the US from the bloc after 69 years. Meanwhile, Trump was casting insults at individual members, notably Germany. Mattis was an assurance that the US institutional relationships with NATO and its members, the linchpin of the alliance, would continue despite the president. But the general’s departure, and the prospect that Trump will want a “yes man” to replace him, could renew uncertainties. The replacement for Mattis is not yet apparent. But it is a marker of the decay of US policy that the question could be close to irrelevant, be the candidate former general and Fox TV pundit Jack Keane or Trump loyalist and defence hawk Senator Tom Cotton. For Trump is now beyond advice and guidance. US foreign policy rests on the whim of this man: angry and frustrated by investigations closing in on him, but bunkered in the self-confidence that he is smarter than anyone else in the room.